Yes, it's still "Fall" here. We don't get winter until after the new year. I saw that. Hope you and my dad are doing ok! Go Padres? I'm very safe where I am! Hope your dad is ok! 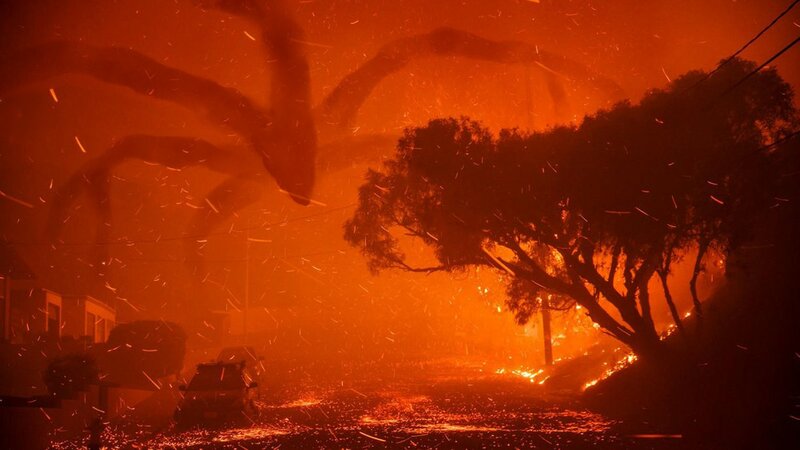 Seems like giant spiders from space broke loose from Hollywood movie studios. Anyway, stay safe guys! Isn't that the fox "9-tails" from Naruto? It's nothing compared to the 2003 and 2007 fires so far.